Yesterday I went Brown Bear Car Wash to wash some of the winter dirt off. As I was sitting in line I saw a pair of crows on a wire overlooking the entrance of the wash.
As it goes with wildlife photos, by the time I got my camera out they took off. Then it was my turn to pay and get into the tunnel of soap. 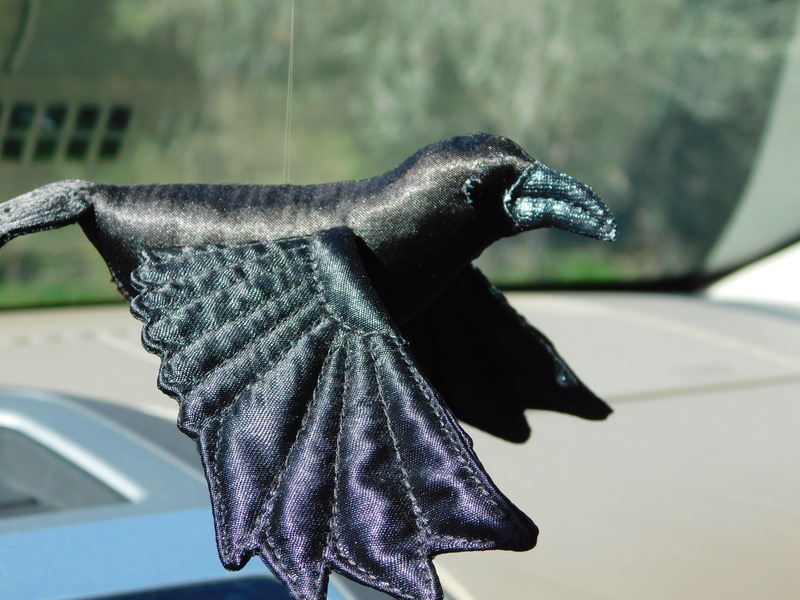 The lady taking my money asks me if my rear mirror ornament crow was a raven or a crow. Then her buddy comes over and tells me how much they love it. I told them about the pair of crows I saw, and to my delight they said they nest on top of the building there. Plus how a co-worker is so obsessed in a bad way about them. 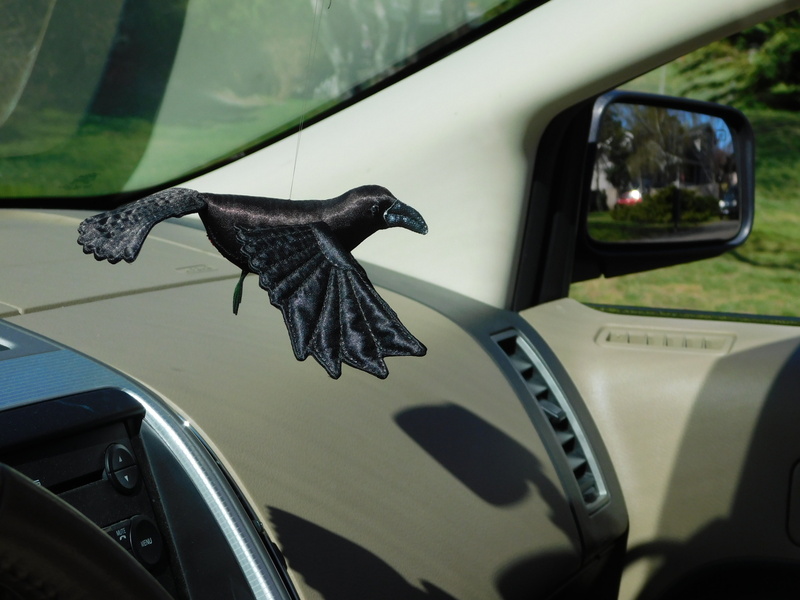 They were giggling about how crazed this person was and they loved the crows. Then it was time to get my car clean. After I got out I drove around to the other side of the building and took a few photos. The sun glare made them not the best but you can see how crows know a good thing. A place with food, friendly people and water. Plus the Des Moines Marina and beach were only a block away. Crow heaven. oh you are so right. the tail is the give away. Never doubted it was a crow till the ladies asked.